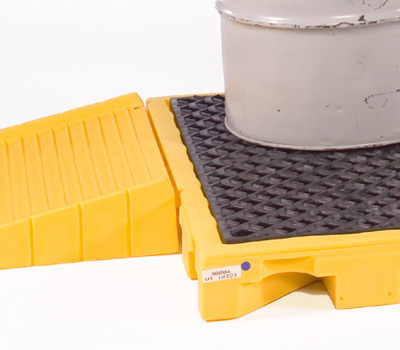 Our spill pallet is specially constructed to support heavy loads and designed to be easily used and transported. Its 100% polyethylene construction makes it compatible with a wide range of chemicals, while its low-rise, 11 inch walls give more accessibility for pouring. 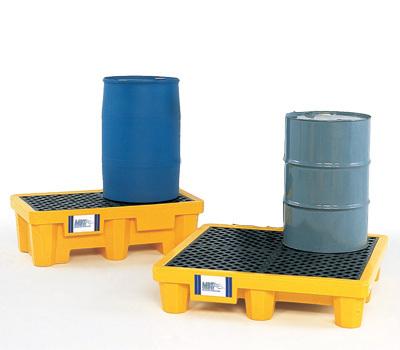 Bright, safety yellow spill pallets get drums off the floor. 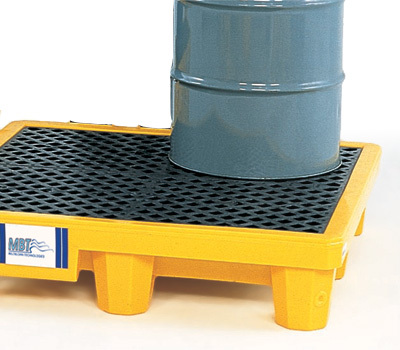 These affordable poly spill pallets are offered in both 2-and 4-drum models. The two-drum model offers a load bearing capacity of 3,000 lbs. Our 4-drum model offers a load bearing capacity of 6,000 lbs. 1 pallet per unit. 1 unit to pallet. 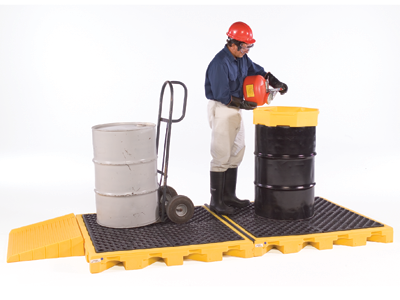 Low profile spill deck platforms make loading and unloading easier, providing great containment and low floor clearance. 1 deck per unit. 1 unit to deck. 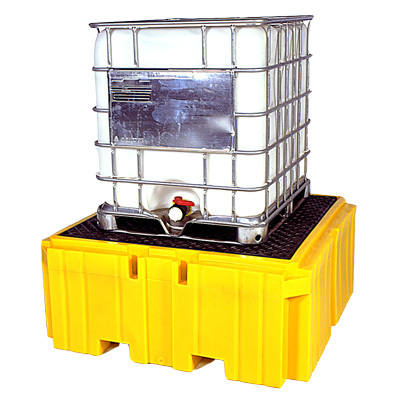 The IBC Spill Pallet provides economical and portable spill containment for IBCs, tanks and other large containers. A 365-gallon containment sump helps meet EPA and SPCC spill containment regulations. All polyethylene construction provides excellent chemical compatibility and forklift pockets makes it easy to move. 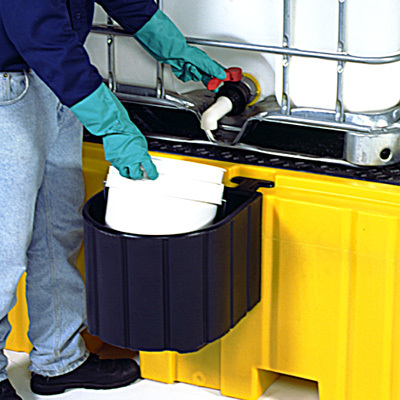 • Low profile, 28” overall height allows safe and convenient IBC tank handling and dispensing. • All polyethylene construction offers excellent chemical resistance and will not rust or corrode. • Forkliftable allowing convenient positioning to desired locations. • Large 52” x 52” deck allows safe and convenient placement of IBC tanks. • Small footprint – 62” x 62” unit requires minimal floor space.